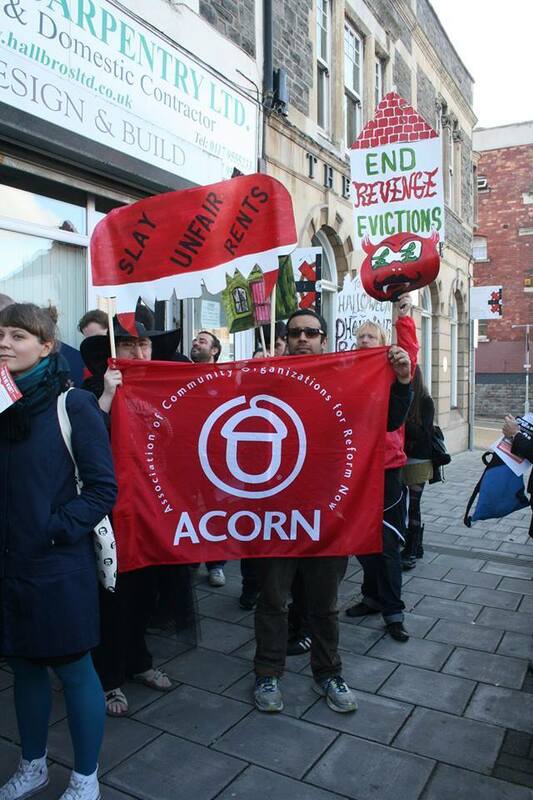 New Orleans Catching up on Skype this week, it was great to hear the progress ACORN Bristol had made in the United Kingdom in advancing the campaign to win what they call an Ethical Letting Charter or a model set of standards for landlords and tenants. The campaign has been developing for months as tenants organized in Easton and other neighborhoods in Bristol have steadily banged on letting agents or real estate rental agencies to change their business practices on security, leases, and repairs. Given the way the world works in Britain, the organization cannot just pound on the City Council for relief, so the campaign is forced to go after the industry and individual companies to win agreement on the standards. 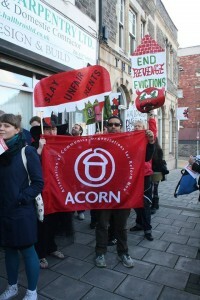 After hard work the first company has voluntarily signed an agreement, so the bubble has been burst and ACORN members are determined to bring the rest in line. ACORN intends to award “a Gold, Silver or Bronze Accreditation, reflecting the level of commitments” made by landlords and rental agencies. The charter is firmly rooted in reality and understands that some of the improvements will take time and therefore ACORN indicates that it will monitor the signatories carefully as they move “towards greater levels of commitment” and improve their accreditation ratings over time. This is a breakthrough campaign for tenants’ rights in Britain, and since the same issues pop up all around the world, it’s worth following closely. London In an interesting development several large labor unions, including Unison and Unite, are building what they call community organizing programs in recognition of the increasing importance of communities in building their programs. In the case of Unite, the country’s largest labor union with more than 2 million members, organizers meeting with me in London told me that see their emerging program as critical in filling the gaps in some of the deindustrialized areas of England where they once were dominant. A significant union commitment of close to a million dollars has staffed community organizing coordinators in all of the union’s districts and has added several dozen organizers to the program along with creating partnerships with community centers and others to deepen their outreach. 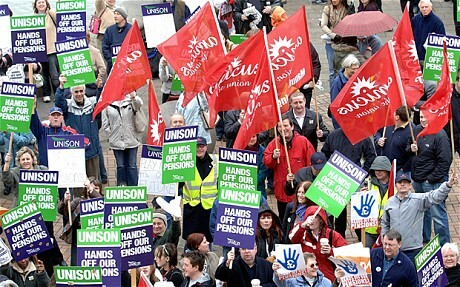 For Unison, a largely public sector union, the main emphasis has been in the Birmingham area where they have a partnership with Citizens, the formation expanding from London Citizens in recent years around the country. London Citizens, drawing heavily from the faith-based institution model closely identified with the Alinsky-influenced Industrial Areas Foundation in the USA, in this project has increasingly made the union its main partner there. In a lengthy conversation with the community organizing department at Unite, it was fascinating to hear their ambitions and commitment in figuring out how to develop a community membership with a fifty-pence per week membership “subscription,” which is around $3.30 per month. There was clarity that they wanted these community members, and eventually the groups formed when a 50 member threshold was reached, to be able to support the labor union when it had struggles, and in that vein they shared several stories of picket line support that had already emerged in some fights. There was also a deep trade union commitment to providing robust services for this membership in the same way that they heavily serviced their existing bargaining units. They were still working out various organizing models though and trying to calibrate the issues involved in building power through these groups on community issues as well as their position on the necessary levels of autonomy and, eventually, sustainability, all of which are hard issues for any organization. Nonetheless at this point their target constituencies are the unemployed, retired, and others in their areas and much of their literature reads along the lines of the AFL-CIO’s Union Privilege program and various US-union “associate membership” programs or perhaps even the AFL-CIO’s Working America program. Recruitment is directly to Unite as a community member of the union and though the literature and program is aggressive in talking about campaigning on issues that are deeply important to the public due to austerity cuts in the country, like the “bedroom tax” raising the rents on social or public housing tenants and the council or local government tax support in reducing benefits, when ticking off the “reasons to join” the list though is largely benefits and service from debt counseling to legal advice to job training skills. The pilots are promising and serious. Doubtlessly, part of the push by labor is also political. The alienation from the existing government led by the Conservatives and the disaffection with the neo-liberal policies of “New Labour” under Tony Blair and Gordon Brown, have left labor in the United Kingdom looking to unite with others to also find common political cause to protect and advance their members, and the community can’t be overlooked. All of this is worth watching.